Enjoy the fresh tropical breeze off the lake. 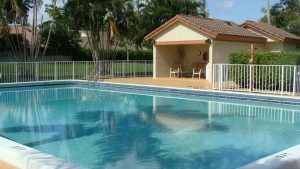 LOW HOA is $145/mo & includes security, lawn care, 2 heated pools, jacuzzi, 3 tennis courts (one taped off for PICKLEBALL), basketball, picnic area & sprinklers off the lake. Put this on your list of MUST SEE NEIGHBORHOODS! 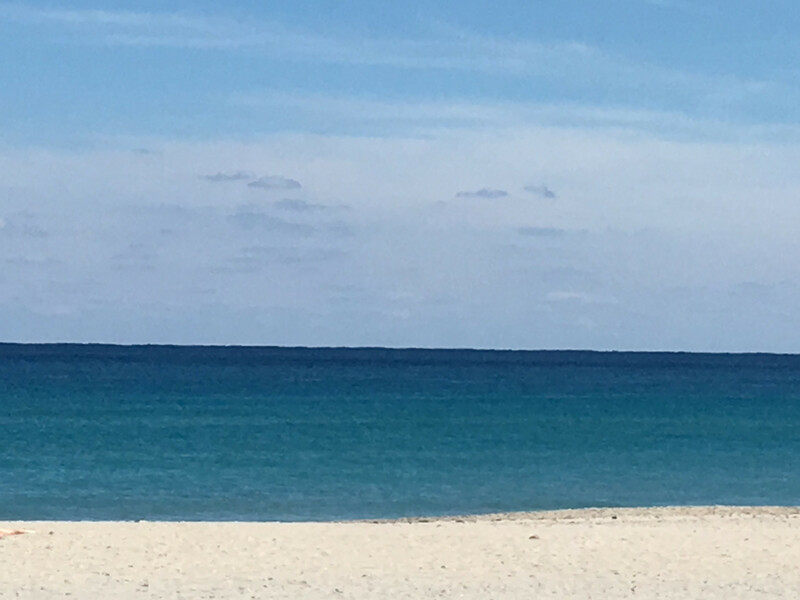 Don’t miss out on your chance to own in this private boating community just 3 miles from the pristine sandy beaches & trendy downtown Delray w/ fantastic restaurants, dining & nightlife! 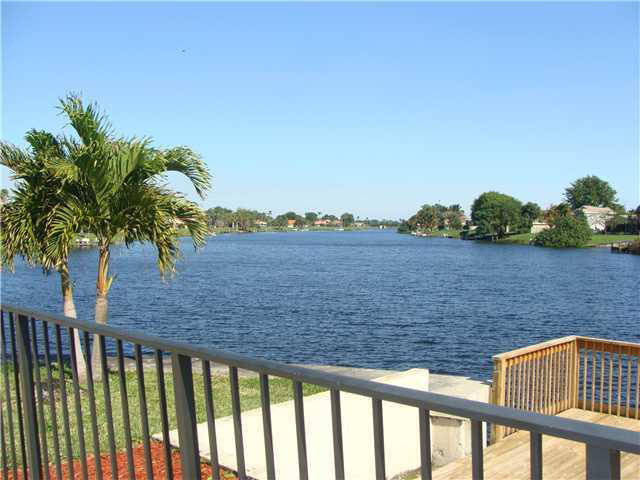 Located in Rainberry Lake, a private boating community that feeds directly into Lake Ida. 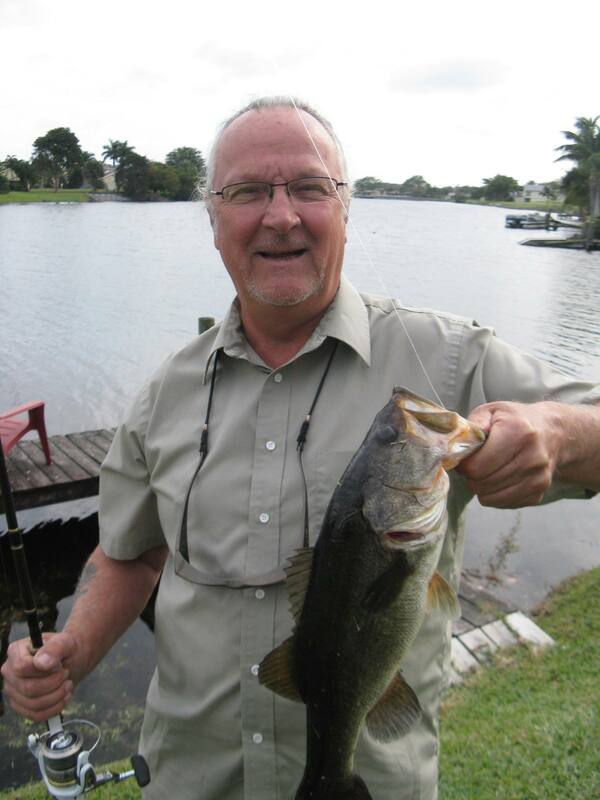 Enjoy great fishing in our stocked lake! No age restrictions. Got a big dog? 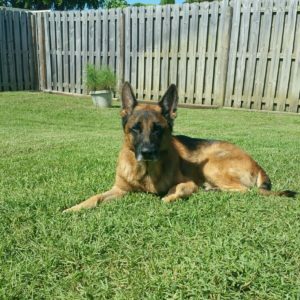 We love pets! 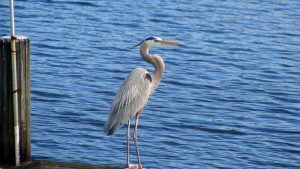 Ride your boat over to Lake Ida for a day of fun w/ water skiing, fishing, picnic area, play grounds, ball parks and a dog park. Docks are permitted in common areas if you are not on the lake. Enjoy art festivals & savor culinary cuisines downtown on the Avenue or cruise down the intracoastal aboard Delray Yacht Cruises. Take in a show at the Crest Theatre at Old School Square or Pick up a game of pickleball at Pompey Park! Don’t forget the Green Market on Saturdays! Zoned for Atlantic High School offering the International Baccalaureate Program and the JROTC Program. Delray Beach was recognized as an All-American City and just won MOST FUN CITY in the US beating out 700 other cities! Rare 3-bedroom house on a huge pie shaped waterfront lot with expansive lawn and a private dock. 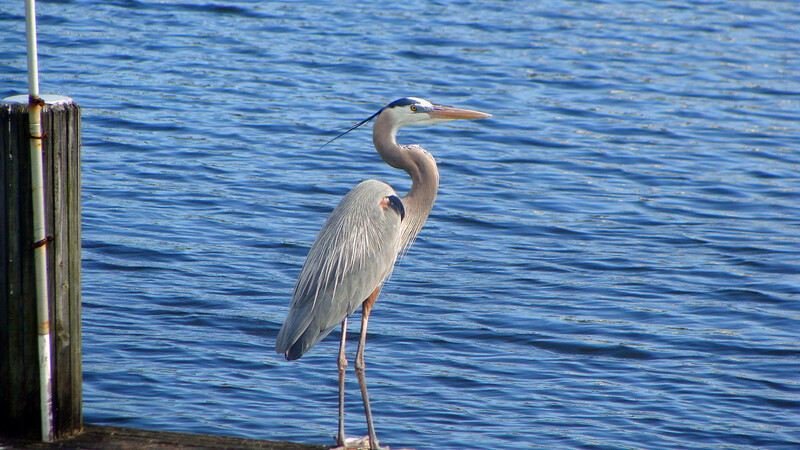 Rainberry Lake is a wonderful community with DIRECT ACCESS to Lake Ida, Lake Eden and Lake Osborne. There is great fishing, boating and resort style living. There is a community pool, hot tub and tennis. The community pool overlooks the lake. The roof is apprx 1 year old. 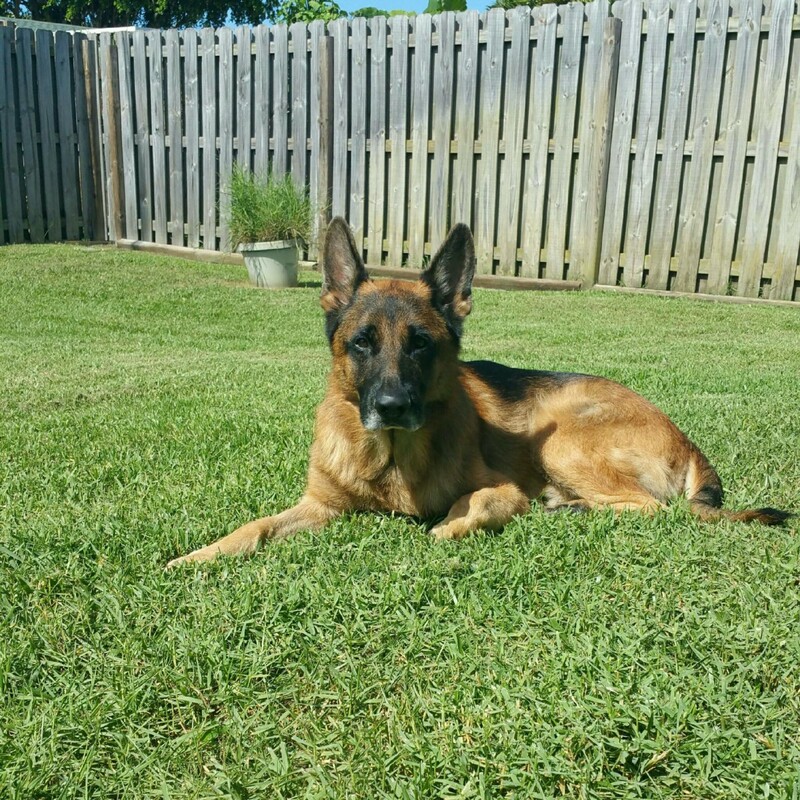 The home is situated in a quiet cul-de-sac w/ no thru traffic. Close to 95, beaches & trendy downtown Delray featuring great dining, shops & night life. Enjoy all Delray Beach has to offer in this newly renovated home in Rainberry Lake. New Samsung Stainless Steel Appliances, new countertops, new water heater and fresh paint inside and out, are just a few of the many upgrades throughout. Desired floor plan with split bedrooms, open and bright living area with tall cathedral ceilings open to a large screened in patio. Large Master Suite includes walk-in closet, sitting area and renovated master bathroom with sunken tub and separate shower. 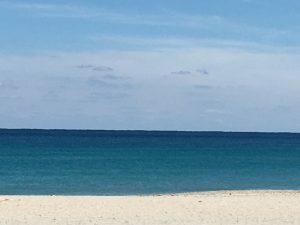 Nestled on a quiet, dead end street that does not back up to any other homes, you will have easy access to Downtown Delray, the beaches and I-95. 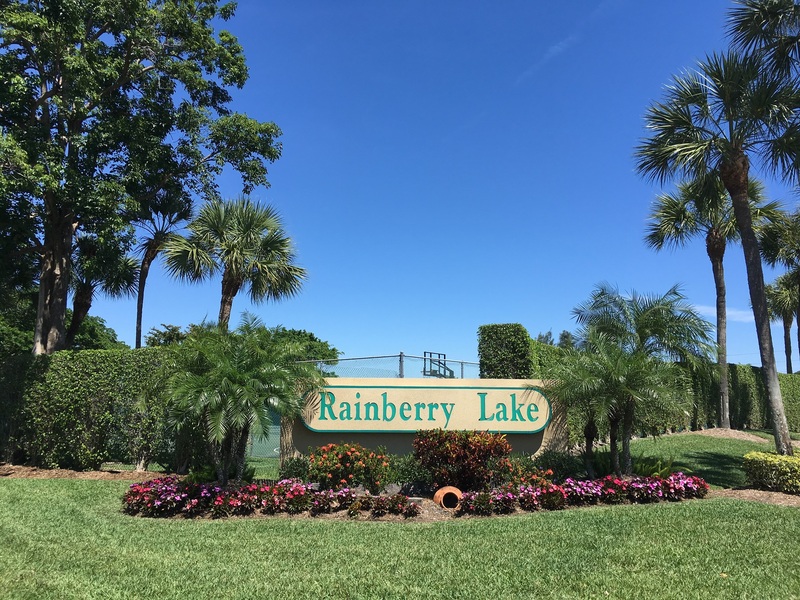 Rainberry Lake is a gated community with low HOA Fees, 2 pools, walking trails, and tennis. Completely updated 2 Bedroom, 2 Bath house right on the lake. Sunlight pours through floor to ceiling sliding glass doors surrounding the large Florida room. Ample Family room with vaulted ceilings and recessed lighting throughout. Completely updated kitchen, granite counter tops. Marine grade all-wood cabinetry, new appliances, slam-proof drawers. House is 2 doors down from the north side community pool. Low HOA. 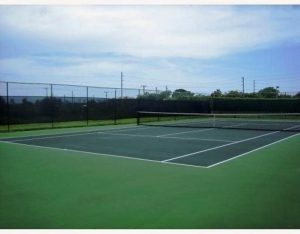 Community is ten (10) minutes from the Atlantic Ocean and beautiful downtown Delray Beach. 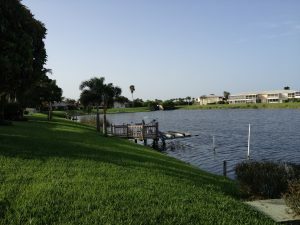 Lake has access to Lake Ida, Lake Eden, and Lake Osbourne through a secure lake ''gate'' accessible to residents only. Priced to Sell and ready to be made into your own ideal home. Spacious with ample garden and patio. This two bedroom home has a den that is easy to convert into a 3rd bedroom. Vaulted ceilings, concrete block construction, 2 car garage, fenced in. 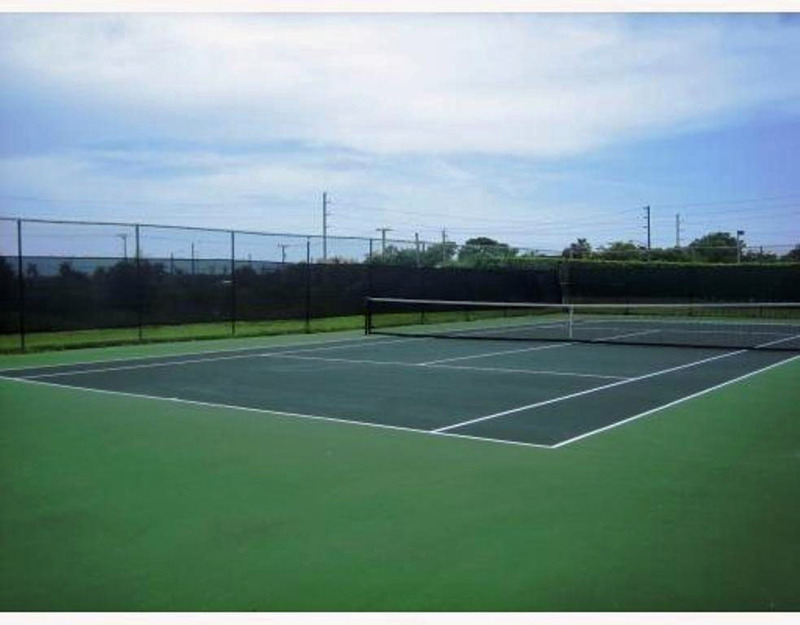 The community: low HOA, gated, tennis courts, pet friendly, two pools, walking trails and a lake that connects to Lake Ida for water enthusiasts. 3 miles from the beach and popular Atlantic Ave.
3/3, including a gigantic master bedroom, and a 2 car garage. Huge waterfront lot, combined with Large open floor plan. Bring your jet ski's, center console or pontoon boat. Situated in the Rainberry gated community, located right on navigable canal that connects to Lake Ida! This home is great for entertaining w/ a HUGE yard! Home is around the corner from the Community pool. Great value considering LOW HOA. Available for immediate move in.